Shared Article – Thank You, PPG, and Gus Too! 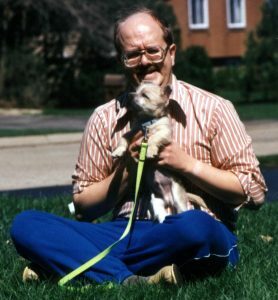 I was not allowed to get my first puppy until I was a junior in high school in January of 1975. I am not sure why my parents succumbed to my pleas after twelve years, but they did. When I purchased my cute little puff of black fur, a Keeshond/Poodle and we never caught the father mix, neither the pet store nor the veterinarian suggested training her. 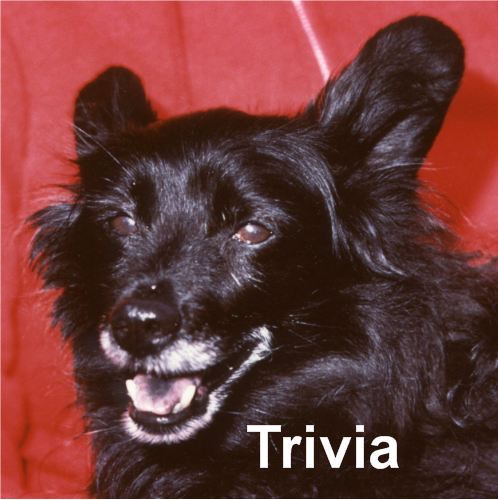 Other than some basic housetraining, Trivia had no real training during her life. She was a happy dog who liked everyone and was with us for 14 wonderful years. However, I believe that the life Trivia and I shared could have been so much better if I knew then what I know now. I am thankful that PPG exists today because they are an excellent resource for anyone who has just adopted their first dog. and on the advice of Paula’s boss, a veterinarian, we went looking for a Cairn Terrier puppy. We found one and named him Laird Gustav MacMoose or “Gus,” because he just acted like a “Gus.” On the advice of Paula’s boss, we immediately enrolled ourselves and twelve-week-old Gus in a puppy kindergarten class offered by the local dog club. We also purchased, and read both, Mother Knows Best and How to Be Your Dog’s Best Friend because those were the two dog training books that were recommended at the time. Our first night in puppy class was a complete disaster. Things went downhill the moment I was told to command Gus to sit, and Gus failed to comply. Now, this was not a big deal to us nor a surprise, as Paula and I were well aware that Gus had not received any training. However, it was a huge deal to the two instructors. They told me, in no uncertain terms, that Gus is exerting his dominance and that I had to alpha-roll him to show him that I was the alpha. The alpha role was exactly what the books we were reading recommended. So not knowing any better I did as I was told. As I grabbed Gus by the scruff and pinned him, he immediately began thrashing around underneath me, growling and snapping, and trying to connect his teeth with any part of me, so that I would let him go. I know now that he was terrified. When I was told to grab his muzzle and told to “hold it shut,” I again, naively, complied. That is when Gus’ taught me that the dog’s teeth will ALWAYS be faster than the human’s hand. Gus instinctively sunk his canines deep into my palm. I said something inappropriate and immediately let go and begin to bleed profusely all over the training room floor. As one instructor ran to get me some ice for my hand, the other gave me a dirty look and continued teaching the class. I handed the leash to Paula, disappointed in Gus and disappointed in myself. After we had gone home, it was evident that the relationship between Gus and I was severely damaged. I was no longer being asked to “throw the ball” by the Cairn with a tennis ball in his mouth and a vibrating tail. Gus did not trust me, and I did not trust him. I let Paula handle him in the remainder of his puppy classes, and when she went on to the next level of classes, with a different training club, I elected not to participate. I am thankful that PPG exists and today can guide a young couple with a dog so that they can find a qualified trainer that will teach them how to create and maintain a relationship based on trust and positive reinforcement. I am grateful that PPG can also recommend which books to read, and equally important, which to avoid. Over time Gus and I learned to trust one another again, and training and behavior became a something we both enjoyed. Paula and I adopted a second dog, and we were fortunate to discover Dr. Patricia McConnell and her Dog’s Best Friend Training facility, where we learned about the wonders of reward-based training. I worked with Gus, and Paula handled Shed, and the four of us learned a great deal but more importantly, we also had lots of fun. Gus eventually became the catalyst for our getting into the pet care services industry. His behavioral issues, he became reactive when people tried to leave our home, led to my interest in aggression and reactivity. His bladder and urinary problems, determined to be due to diet, resulted in our preoccupation with pet nutrition. When Gus developed epilepsy, he sparked our interest in complementary medicine. Thank you, Gus, you were quite the teacher as well as being a fabulous, furry, friend. In the fall of 1995, we moved from Wisconsin to Maine, after purchasing the Green Acres Kennel Shop. Paula and I jumped right into our new business. 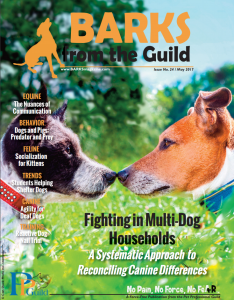 Having learned the value of professional organizations in my previous career, I found and joined both the American Boarding Kennel Association (ABKA) and the Association of Pet Dog Trainers (APDT). Through the APDT email list, I met several people, many that are now wonderful friends, and started to read books that they recommended. I also began attending seminars, and I worked with our existing trainer to learn my craft. In 1998 I attended my first APDT conference in Valley Forge, PA and stepped right into my first debate over shock collars. A shock collar company was exhibiting at the APDT trade show, and there was a significant discussion as to whether or not they should be allowed to do so. I was firmly in the anti-shock camp. After that conference, APDT adopted a policy that prohibited the promotion of shock collars at their conferences. Three years later I was encouraged to run for the APDT Board of Trustees and started my first three-year term on the Board in 2002. Hoping to expand upon the ban on promoting shock collars at the conference, in July of 2002 I proposed that the APDT adopt a resolution defining dog-friendly dog training. 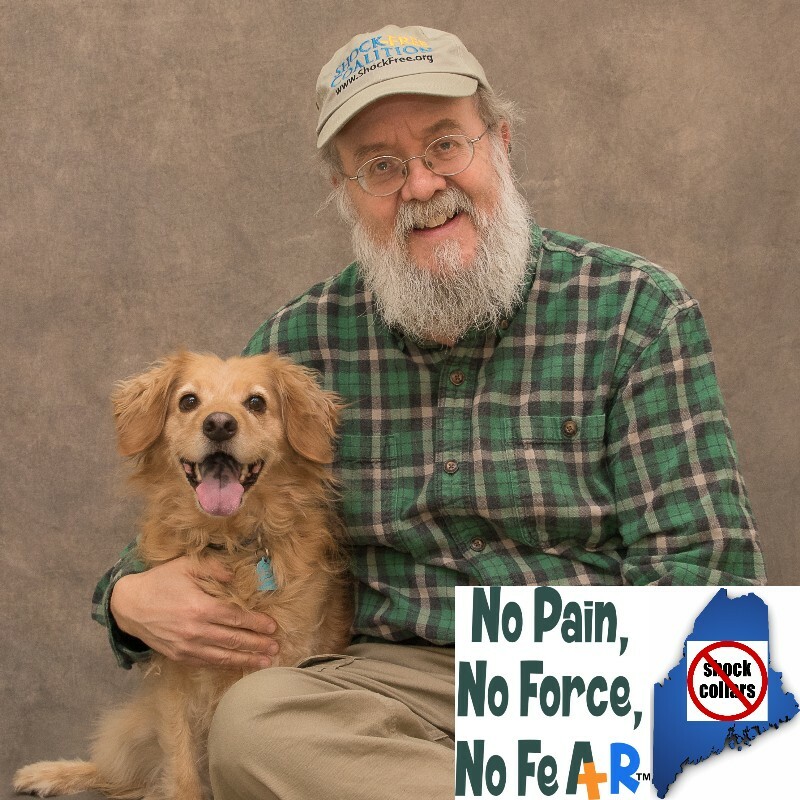 At the core of my proposal was the statement “Dog-friendly training” does not include the use of tools or methods that cause pain, physical injury, suffering or distress.” Sadly, my motion died for lack of a second. I was very disappointed that no one was even willing to discuss my proposal. I served on the APDT Board for two consecutive terms waiting for an opportunity to get APDT to take a more assertive position on dog-friendly practices, but it never happened during those six years. I was again encouraged to run for the Board in 2010, was elected to another three-year term. Sadly, it was evident the APDT was still not ready to take a stand. I do believe that APDT has done many good things for our profession, but it disappoints me that they have never been willing to take a strong position against the use of force, fear, and pain. In 2014 I took my first serious look at PPG, applied for membership and let my membership in the APDT expire. Earlier I stated that I believe professional organizations are important. To me, membership in such an organization demonstrates an individual’s and a business’s commitment to the best practices of their profession. For that reason, as soon as a staff member at Green Acres’ completes their probationary training period, I enroll them as a member of the PPG no matter what role they play here. 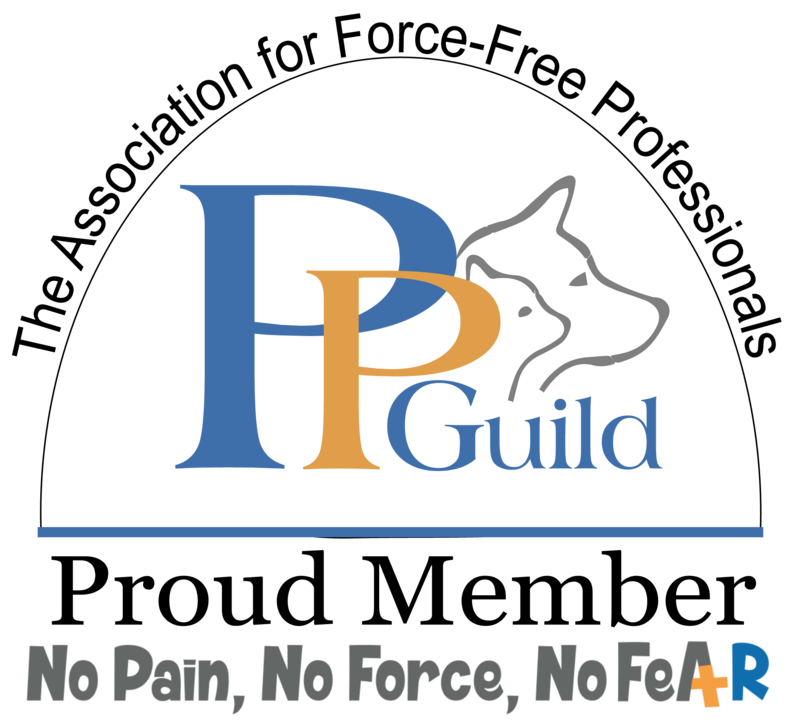 Every trainer, pet care technician, groomer, customer service associate, and manager is a PPG member and is expected to live up to the PPG guiding principles. It is a condition of employment. I am so very thankful that I finally found a cohort of like-minded pet care professionals who are committed to the same things that I am and are willing to say so publicly. Thank you PPG and thank you Niki Tudge. I became the manager of an email list for boarding kennel and daycare operators in 1996. Ten years later some members of the list began discussing how they used squirt bottles, spray nozzles on hoses, and anti-bark shock collars on their guests to control barking. I was appalled and made being pet-friendly a requirement of being a member of the list. Around the same timeframe, a client informed me that a kennel in our area used a shock collar on their dog while they were a guest. My clients were very upset that this had happened. As a result, Green Acres’s published our first position statement entitled “Green Acres Is A “Pet-Friendly” Facility.” Some of our competitors were not happy because they felt it made them look bad, but I believed then what I believe now. We were doing what was in the best interest of our clients and their pets. Our continued success confirms our clients agree. However, I have taken my share of flack from others in our profession and again, want to thank PPG for making the world a less lonely place. Don Hanson is the co-owner of the Green Acres Kennel Shop ( greenacreskennel.com ) in Bangor where he has been helping people with their pets since 1995. He also produces and co-hosts The Woof Meow Show heard on AM620 -WZON every Saturday at 9 AM. Podcasts of the show are available at http://woofmeowshow.libsyn.com/. Don also writes about pets at his blog: www.words-woofs-meows.com. 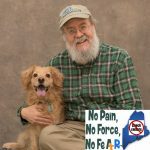 He is committed to pet care that is free of pain, force, and fear.